Free shipping with $300 purchase from GOODAFTERNINE. See item details below for sale terms. 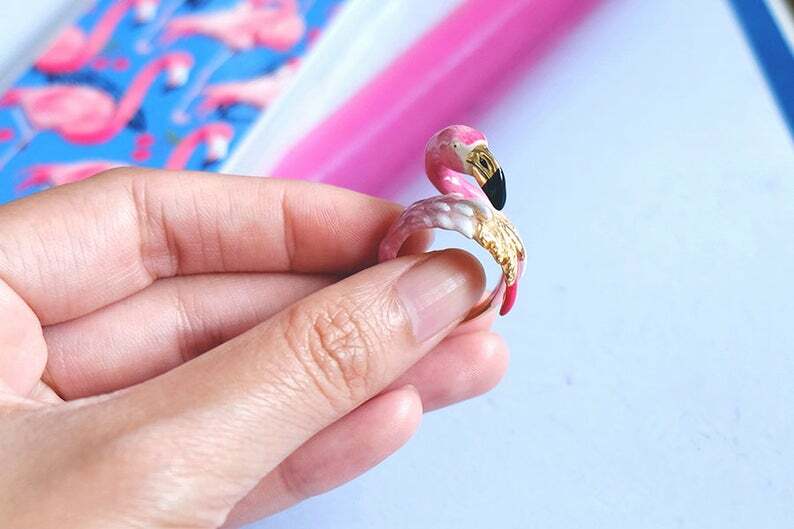 There are Flamingo Ring , Mallard Ring , Peacock Ring and Swan Ring. I love their wings and movement. They are so beautiful , colourful and graceful. 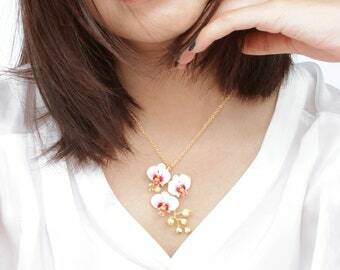 The design is comfortable to wear and aesthetic outline. Ring made by hand with exquisite delicate hand painted details. This collection launched in 2014 December. //Please note that the actual colours may be slightly different from the ones that appear on your screen. //It is made by hands and hand painted, The details of panting may little different from photo and This handmade pieces will make its more unique. 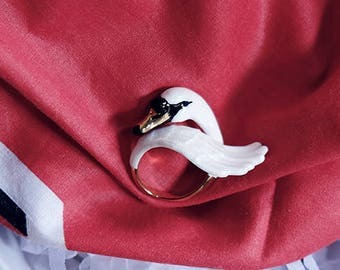 Swan Ring , Handcrafted, Statement ring. Tiger Ring - Chinese zodiac animals. Sign - Zign Collection , Tiger , Small cute ring. Free worldwide shipping on orders over 300 USD. Please allow 3-5 business days for your order to be processed and shipped. All international shipments are shipped via FEDEX who provide customs clearance and door-to-door delivery service within 1-3 business days. **** Please note that you will be responsible for duties, fees and taxes applicable to your region. 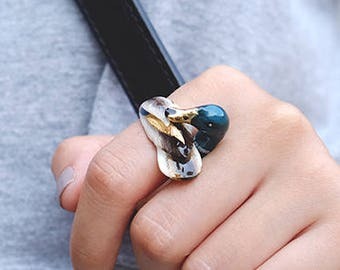 This ring is a hoot! I love it, and it is so well made! 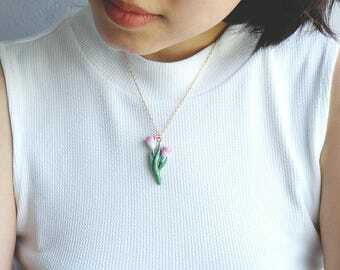 Beautiful enameling, would love to get another! 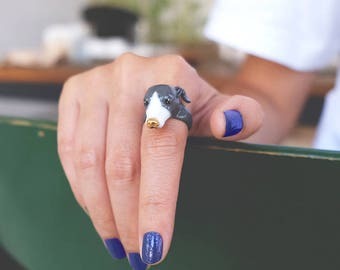 Unique ring! Beautiful! Great communication and fast shipping! I guarantee the quality and craftsmanship of all work. Anyway If there is a problem with your order, please contact us immediately Send us a convo within 5 day after the package arrived. All order ship from Bangkok, Thailand. Please allow 3-5 business days for your order to be processed and shipped. All international shipments are shipped via FedEx who provides customs clearance and door-to-door delivery service within 1-5 business days. After you place the order and proceed with the payment, you will get an order confirmation to your e-mail. We ship to the address that you fill in when check out. Please fill in the phone number that FedEx can easily contact you. If you have to change the address emergency. Please email to shop@goodafternine.com as soon as possible. We have 2 shipping day Tuesday and Friday. Orders from Friday to Monday will be shipped out on Tuesday. Orders from Tuesday to Thursday will be shipped out on Friday. Remark - There are the countries that cannot ship via FedEx. Brazil, Spain, Israel, Belgium, Saudi Arabia, Luxembourg, Chile, Latvia. Estimate shipping time via Airmail takes 4-6 weeks. By law, we must declare all items at their full price and cannot alter this amount to decrease international custom fees. Packing slips for International Shipments cannot be marked as a "gift" or with altered prices. Any import duties and taxes are charged once the parcel has reached the destination country and these charges must be paid by the recipient of the parcel. Unfortunately, we have no control over these charges as customs policies vary by country and these fees are collected at the time of delivery. If you have any questions related to customs charges you are advised to contact your local customs. The international shipping cost incurred at the time of check out is non-refundable. Customers will not be refunded the shipping cost in the event that an International shipment is refused by the receiver. If you refuse a shipment from GOOD AFTER NINE, you are responsible for the original shipping charges, any import fees that are incurred on the package, and the cost of returning the package to GOOD AFTER NINE. This amount will be deducted from your merchandise refund. In the instance, the return fee exceeds the amount of the merchandise plus shipping costs, the package will be abandoned and you will not be refunded. Good after nine's jewellery made base metal from brass plated in either 18k yellow gold, pinkgold, black rhodium and rhodium. Finish wit colour enamel. - Care should be taken to protect it from knocks, chemicals, water, extreme-temperatures, sunlight and sharp objects. -Please remove your jewelry while exercising, bathing, and swimming, and avoid contact with perfumes, lotions or hair products. 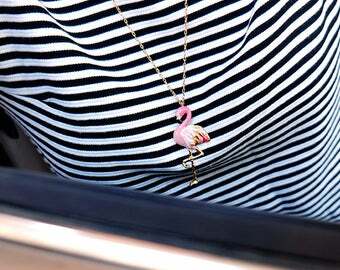 - Handle jewellery carefully when putting it on or taking it off to avoid dropping it and chipping the enamel . - Recommends cleaning your plated jewellery using a damp, soft cloth. Make sure to fully dry the piece before wearing it. Do not clean with chemicals, jewelry cleaners, or polishing cloths, as this will affect the finish. Plating is much more delicate than pure metals. clean often to keep shine and remove sweat and dirt that will cause items to fade. - Certain people perspire stronger than others, this causes the plating to fade faster. I suggest using high grade plating or fine jewellery. - We suggest storing your brass jewelry in the box or pouch. Please remember that as this is not fine jewellery, we highly recommends that you follow these instructions carefully. Good after nine is not responsible for the maintenance of your jewellery and does not polish purchased jewellery. 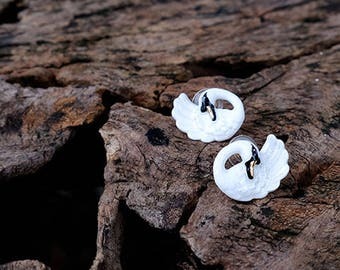 GOODAFTERNINE ring sizes are based on standard US sizes. Most of our ring are adjustable. Each ring can be adjusted one size up or down. FOR EXAMPLE - If you order US 6. The ring is set at US 6 and can be squeezed smaller to US 5.5 or pulled bigger to US 6.5. If you don't know your size, please measure your ring before you make a purchase. 1. Select a ring that properly fits the intended finger. 3. Once you have the circumference measurement, convert the measurement with the sizing chart we show below. The first row is your ringside for order ring. -- Keep in mind that it’s better to measure your finger during the afternoon when the temperature is around average, because during the day the width of the finger may vary up to half of the size. -- Make sure that you measure the inside part of your ring. GOODAFTERNINE reserves the right to modify the prices in this online platform at any time.